Looking to get a jump on your Christmas cards? 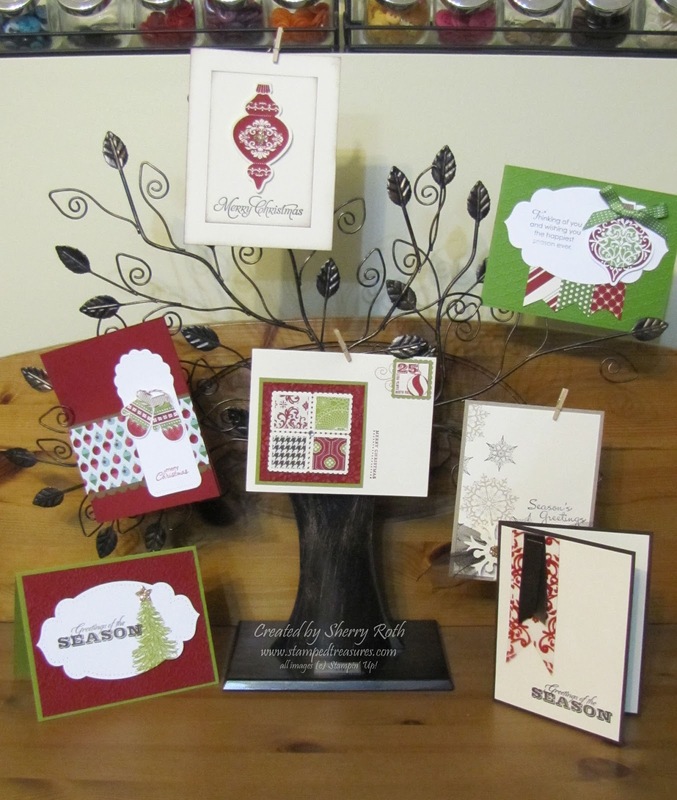 Join me at my Christmas Card Buffet! Register and prepay the $15 class fee. This pays for your first 4 cards. Each card after that is only $2.50. 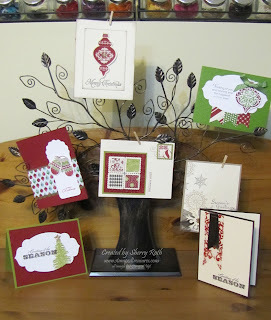 Create as many cards as you can/want in the 3 hours allocated to the class. All supplies will be pre-cut and ready for you to stamp and assemble. These are 7 of the 12 designs you will have to choose from!!! Registration deadline is Wednesday Oct. 24th. Email me to register and get a jump start on your Christmas cards. Class fee can be paid by cash, Visa, MCRD or through Paypal.